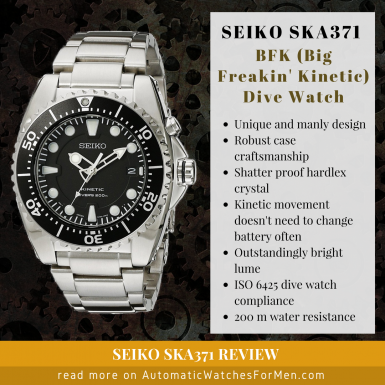 In this post, I’m going to write about the Seiko SKA371 review, or also known as the BFK – Big Freakin’ Kinetic – dive watch. Quite a nickname eh? To be honest, I’m not entirely sure from where the BFK name came from. But just looking at this awesome watch we can easily understand why Seiko fans called it as such. It’s a dive watch with an awesomely rugged look, and yet I can easily imagine myself wearing one with my work shirt! That’s how great looking it is. Not only that, the SKA371 does not look like other Submariner/Seamaster look-a-like dive watch as Seiko had imparted a few unique characteristics on it that I really love. More about that later on. Despite the BFK nickname, it’s actually not too big in terms of diameter (at just 42 mm when many other watches have 44 mm diameter). But the thickness of 14 mm will make it look AND wear heavy. And I can say that’s a good thing because wearing a watch with such heft gives a different manly and masculine feeling than wearing a light watch. In addition, the SKA371 is a kinetic watch. It gets energy from wrist movement and changed it into electric energy to be stored in its battery cell. But the main timekeeping mechanism is the good ol’ quartz movement with great accuracy and robustness. That enough for a quick summary. Now let’s get on with the full review of the SKA371 shall we. Quick Summary A masculine looking dive watch with unique styling not normally seen in other dive watches. Aesthetic apart, the watch is built robustly with a tough and heavy case, making it able to withstand severe punishments. Having a kinetic movement inside ensures the watch is accurate (due to quartz timekeeping) whilst not having to change the battery frequently courtesy of its self-charging mechanism. It’s a one-of-a-kind watch that looks great while also having the street cred for being tough! The first thing that I noticed about the SKA371 BFK is the matte black face which is absolutely gorgeous and tool-like. And then it dawned upon me that this watch actually looks similar to another kinetic watch by Seiko, that is the SUN019. Well, actually, it looks very different but it’s evident there are similar styling applied on both the BFK and the SUN019 (maybe same designer?). 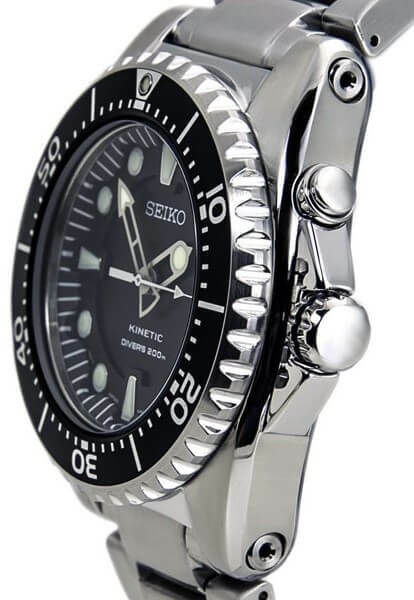 While the black dial and bezel certainly looks to be borrowing the famous dive watch styling of Submariner and Seamaster, a closer inspection will reveal that Seiko did a lot more on it! The dial face, hands, case design and the top right pusher all contributes to making this watch a unique watch on its own. For a start, the BFK uses a double layer dial design to make the dial unique but in a tasteful way. You can see the markers are actually on a raised surface compared to the inner surface. And look at how the raised surface follows closely the trapezoid markers at 6, 9 and 12 o’clock and around the date window with absolute precision. This double layer surface design makes the watch dial a depth look with 3D effect – and is something that I really love about this watch. 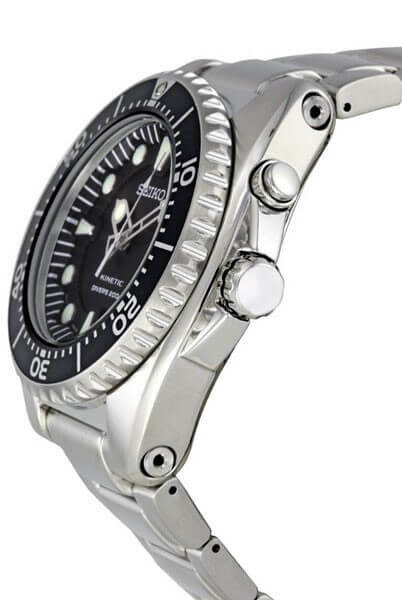 Like other dive watches, the Seiko SKA371 uses index markers instead of numerals. The reason for this is to put in maximum lumes on the markers so that it will be very legible to see in dark areas. And since the lume has a white/green color, it contrasts with the black dial giving a watch that’s very easy to tell time with. The hands uses skeleton design, and frankly speaking, might be the weakest link of this watch. It can be said that Seiko drawed inspiration from Seamaster watches for the hands on the BFK, but sadly their intrepretation is a bit off. For a start, the hour hand has a tip that looks really odd with the circular shape that some people say looks like condom LOL! In my opinion, it looks out of place amongst the other elements on the watch. Not only that, the amount of lume on the hands are less than 30-40% at most. Considering the hands are the most important thing that will tell time in dark, I really think the lume real estate on it should be at least 50% for maximum legibility. 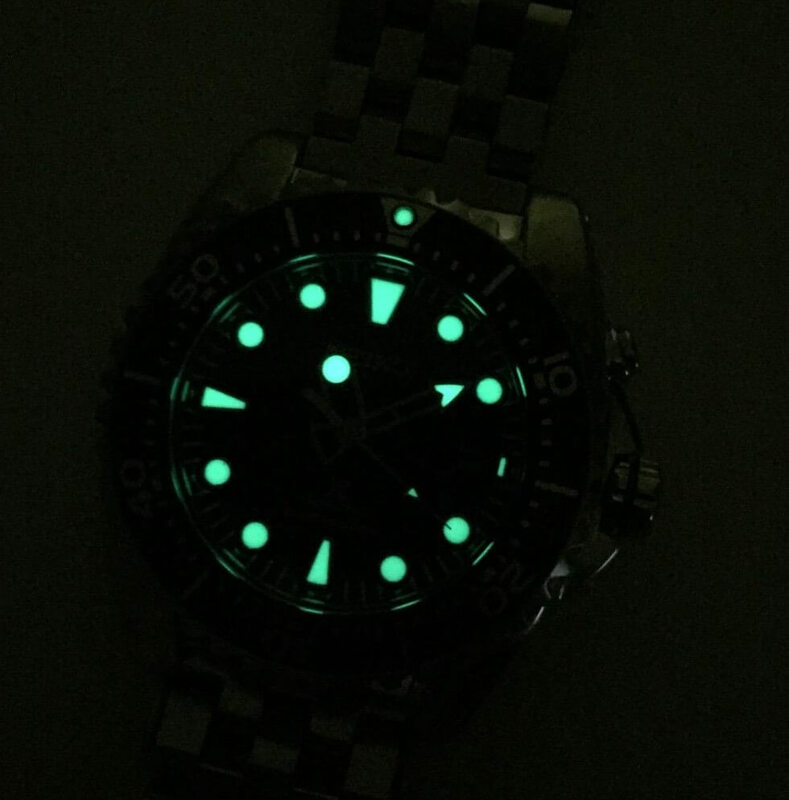 As you can expect, the lume on the BFK is great. As usual, Seiko uses LumiBrite lume on it which gives the watch a really nice glow. Of course, we can expect that it’s not the best lume in watchmaking (it is only a sub-$400 watch) but LumiBrite is often regarded among one of the best in the industry. Which means that while it can’t beat Swiss’ lume paint (on those Rolex, Omegas, etc.) in terms of brightness and longevity, the LumiBrite does give a good fight. An important thing that I should state here is the BFK does not only consists of the SKA371. Seiko released a couple of them over the years with different colors. What I like about Seiko is their willingness to come up with unique case designs that no other watch brands will think off. To put it simply, they’ve experimented with their designs more than what the likes of Rolex, Omega, Oris and others can even imagine. Designs such as the iconic Tuna, Turtle, Monster and the Seiko SUN019 show that Seiko is not afraid to push the boundaries, especially with their dive/sports oriented watches. No one in the Swiss watch industry will ever think of using such designs in their brands. True enough, this might not work for all but this strategy did separates Seiko from the others and gained the company a huge fans. 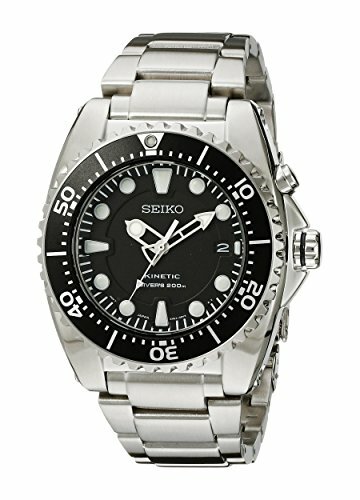 The Seiko SKA371 BFK is also not made with ordinary dive watch design in mind, though I can say that Seiko did restrained itself with this watch as compared to the watches I’ve listed above. Seiko usually make a great watch case with unique design and this Seiko BFK is no different. It does not has extremely different case designs like the Tuna or SUN019 but you’ll notice the BFK is quite different than other watches out there. From the first glance, we’re sure that this is a dive watch meant for real diving, and not just another dressy dive watch. It looks rugged and the use of lots of brushing on the surface contributes to that. It’s also quite tall at 14 mm thick so you can be sure to expect a good heavy feeling when wearing it. I’m more a light watch guy, but I surely love to wear my heavy diver’s from time to time because of how hefty and manly it feels! The BFK case employs lots of curves in the case rather than sharp angles. We can also see the edge transition between the top and side surfaces are profusely chamfered which is something that is not common. The main crown at 3 o’clock has a nice middle ring which further accentuates its tool like design. We can also see the crown guard uses triangle shape with also the same chamfered edges. At the top of the watch is Seiko’s own hardlex crystal which was engineered to be a shatter proof crystal. I should highlight that it’s less scratch resistant than sapphire so do take good care of your hardlex crystal (if you’re thinking of getting the BFK) as it can and will scratch if not used correctly (read more about my experience with Seiko Sumo HERE). But the rational for using the hardlex is there: it’s more shatter proof and is a good choice for a real dive watch with an affordable like this. Like other dive watches, the BFK also has a unidirectional rotating bezel on it. 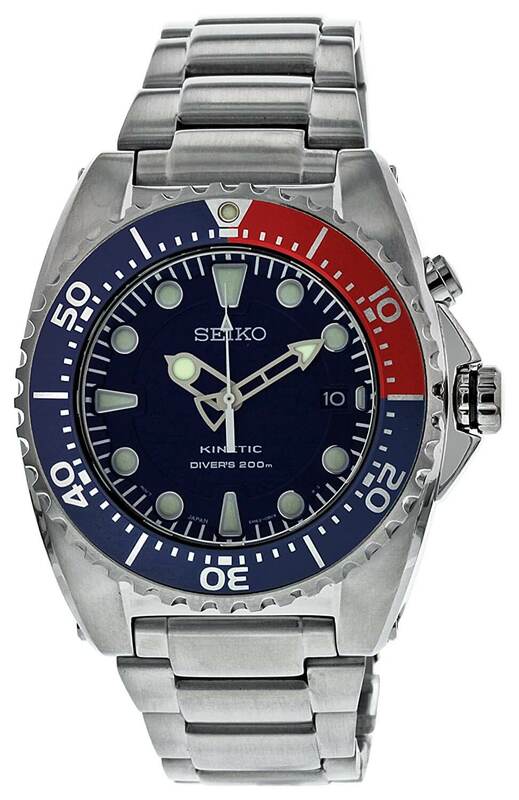 The bezel has a matching black color (or blue-red Pepsi for the SKA369) and can only be rotated counter-clockwise to help divers measure time. A characteristic feature of the BFK is the top right pusher which break the top-bottom symmetry of the watch. I’ve seen this design in the Orient Mako and Ray (the first version)and all I can say is it’s quite cool to have that. Having the pusher makes the watch more unique than other dive watches, and who like to be common and boring right? Besides, the pusher on this BFK have an actual usage for showing the power reserve. Simply pushing it down for 1 to 2 seconds and the second hand will move to indicate the power reserve. It has a huge 6 months power reserve which will be more than enough for anyone to use. What should a thick watch have? An equally thick bracelet of course! Just imagine how out of place a thick watch with a thin bracelet would be? 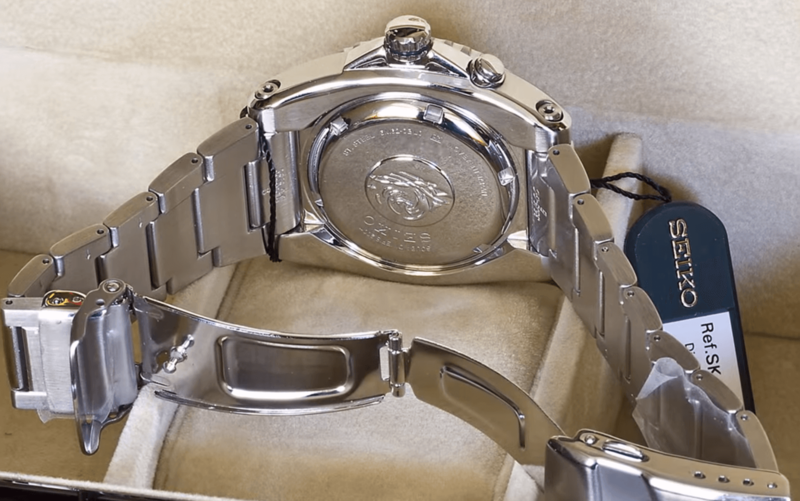 Fortunately, that’s not the case here as the stainless steel bracelet on the Seiko SKA371 is very thick and nicely complementing the thick case and lug handles. A thick bracelet will give that extra weight and manly feeling when worn. Certainly, not many can wear it everyday because of the weight but when you do wear it, you’ll feel the difference! 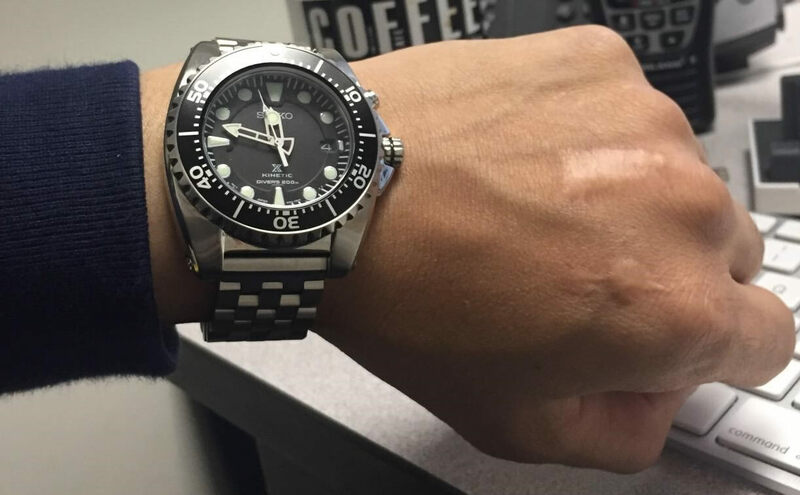 The bracelet on the BFK is also not a standard Seiko dive watch bracelet. Yes, it has the usual fold-over clasp, diver extension and safety lock. In addition to that, you can notice that the second link of the bracelet has some kind of wing at its sides that provide a nice transition from the case lug to the 20 mm bracelet. The bracelet’s end links are also unique as it’s circular and can be rotated around the pin. I’ve tried searching for a while but I don’t think I can find any other Seiko watch with a bracelet that has these two features. Do let me know if you know other watches like this! Since we came to the bracelet, I might also add a bit about the difference between SKA371P1 and SKA371P2. The SKA371 is sold with either the metal bracelet (SKA371P1) or a rubber strap (SKA371P2). The rubber strap is of course the cheaper version but as I’ve mentioned above about the unique Seiko bracelet, I highly recommend to get the P1 version for those interested in the watch. Not only because it’s unique, the bracelet is also more durable and can lasts as long as the watch. It’s a metal after all! The rubber strap? 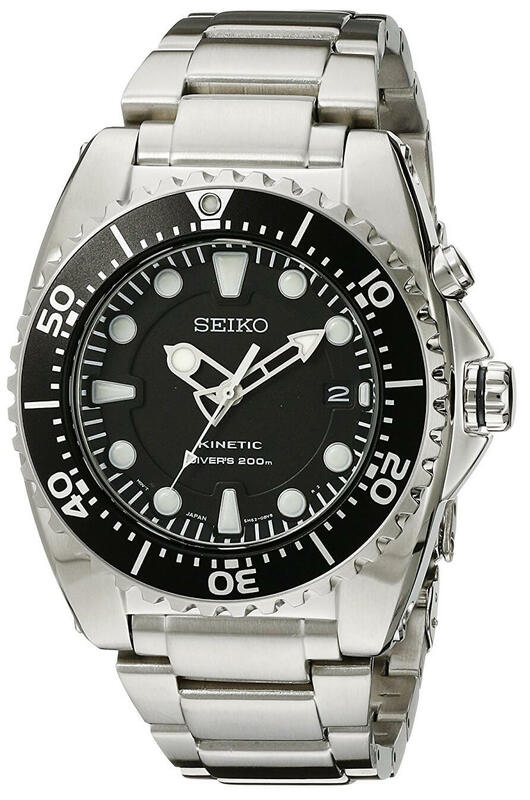 Not so much..
Just like their various dive watches, the Seiko SKA371 BFK also complies with ISO 6425 standard. 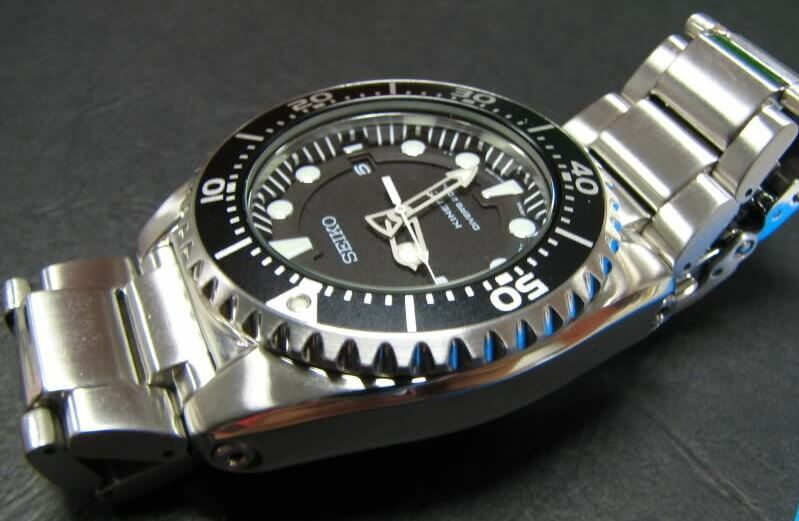 This is a standard developed by the ISO body to govern the design and features of dive watches. This ISO compliance means that the 200 m water resistance rating of the watch is a real deal – you can actually use this watch for scuba diving without fear that it will break down! (I’ve actually written another article in-depth about the ISO 6425 and water resistance HERE. Do give it a read if you’re interested in it). 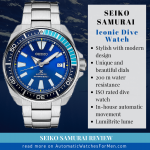 The watch also has the customary Seiko’s tsunami engraving pattern on the caseback which is usually reserved only for Seiko diver watches with ISO 6425 compliance. Extreme Tests Had Been Done To This Watch! When talking about the BFK watch, it’s not complete without mentioning the various tests that Seiko fans did to it. In short, the wathc have been tested with many extreme tests such as run over a car, frozen, drop test, and even washing machine spin test! Head over to this thread on WatchUSeek.com to know the details of the tests done. Spoiler: the Seiko BFK survived those tests! Powering the Seiko SKA371 is the 5M62 Kinetic movement engine. So what’s a kinetic movement? Kinetic movement is essentially a quartz watch with a self-charging mechanism via a rotating rotor. Remember the rotor in the back of an automatic watch? Well, Seiko use that and hook it up to a dynamo so when the rotor moves (when the watch moves), the dynamo will generate electricity. The electricity is then stored inside a battery (or what Seiko calls Kinetic Electicity Storage Unit, E.S.U). It will then power up the quartz timekeeping device. 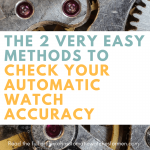 The accuracy of the movement is similar to a typical quartz, which is +/-15 seconds per month. It might look a lot but honestly it’s not really a big deal. I don’t think a couple of seconds inaccuracy will do any harm to ordinary citizens, unless you’re in a profession where accurate timekeeping is needed. On to the power reserve, the BFK has the top right pusher that can show the remaining power reserve by the second hand movement. You can scroll to that section above to know more about that. The 5M62 kinetic movement has 6 months power reserve when it’s at full capacity. That’s a lot and definitely will be sufficient for normal use. How To Charge Seiko SKA371 BFK Kinetic Watch? From the user manual of the movement (Click HERE to download from Seiko.co.uk), we require 450 to 500 swings of the watch to charge it to 2 days. 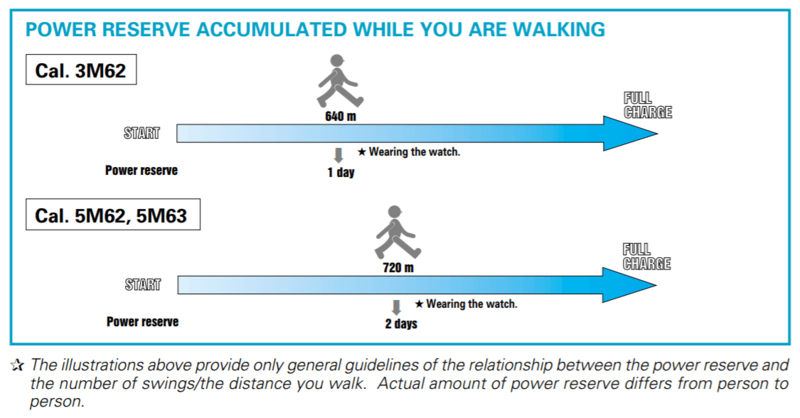 In terms of walking distance, the manual also says that a 720 m walk can also charge it to 2 days power capacity. Even though it seems a lot, but I don’t think it will take much effort to fill up the power reserve – provided we actually USE the watch. Just like an automatic, not wearing the watch will cause its power reserve to drop dead, and the kinetic is no different than that. I think wearing this watch to a jogging or using the treadmill in the gym are very good ways to fill up its power reserve. In fact, I believe it’s fine to use it to any sports or outdoor activities as the watch is built like a tank! In addition to wearing the watch, we can also use other unconventional means to charge it such as using electric toothbrush charger or even Seiko’s own kinetic charger. Who Is The Seiko SKA371 BFK Watch For? In my opinion, guys that like a tough and reliable watch should get the Seiko SKA371. It’s made to withstand the toughest punishment (see the extreme tests done to it above), has 200 m water resistance, comply with ISO dive watch standard and has shatter proof hardlex crystal. The kinetic movement does not break easily – I can bet it’s certainly more robust than an automatic with the same price tag – and that means this is a watch that can be used for lots of outdoor and strenuous activities. In addition, its self-charging mechanism is perfect for those that are tired of changing the batteries in their watch. Last but not least, it’s designed with a unique dive watch style that will look rugged and manly on your wrist! Perhaps those that want a more dressy dive watch should not get this. In my opinion, even though it can be worn to work, jackets and all, it’s still a bit too rough and tough looking. Its heavy weight can also be a cause for concern with those not used to wearing a big watch. So if these are your concern, then it’s better to get a smaller watch to wear. 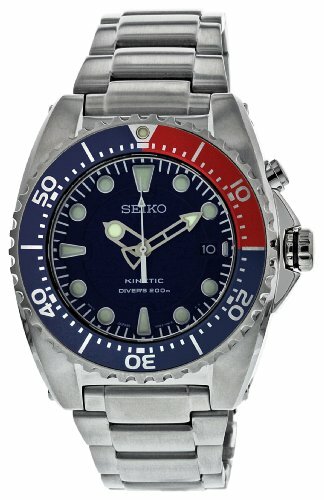 Where To Buy The Seiko SKA371 and SKA369? So where to buy the Seiko BFK? It can be quite hard to get the watch but I found that Amazon usually have them stocked at a very good price. Check out the links below to get the watches on Amazon. 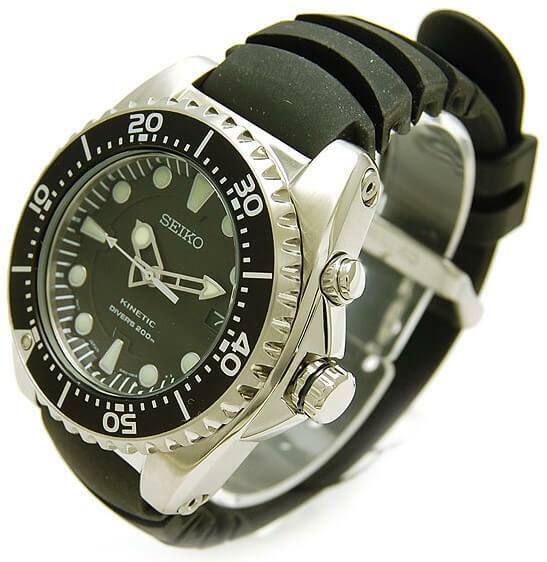 Seiko SKA371 (and its sibling SKA369) is one great looking dive watch. Seiko’s ingenuity in not making it look like other Submariner/Seamaster dive watch works very well in setting it apart from the others. It’s nickname BFK (or Big Freakin’ Kinetic) is well founded as the stainless steel case is quite thick lending to a huge look of the watch. And with an equally thick bracelet, this is one heavy watch for sure. What made the BFK more famous is the legendary extreme tests done on it by fans (you can read more above). Despite all those freezing, dropping on floor, boiling etc., the BFK still runs like normal! 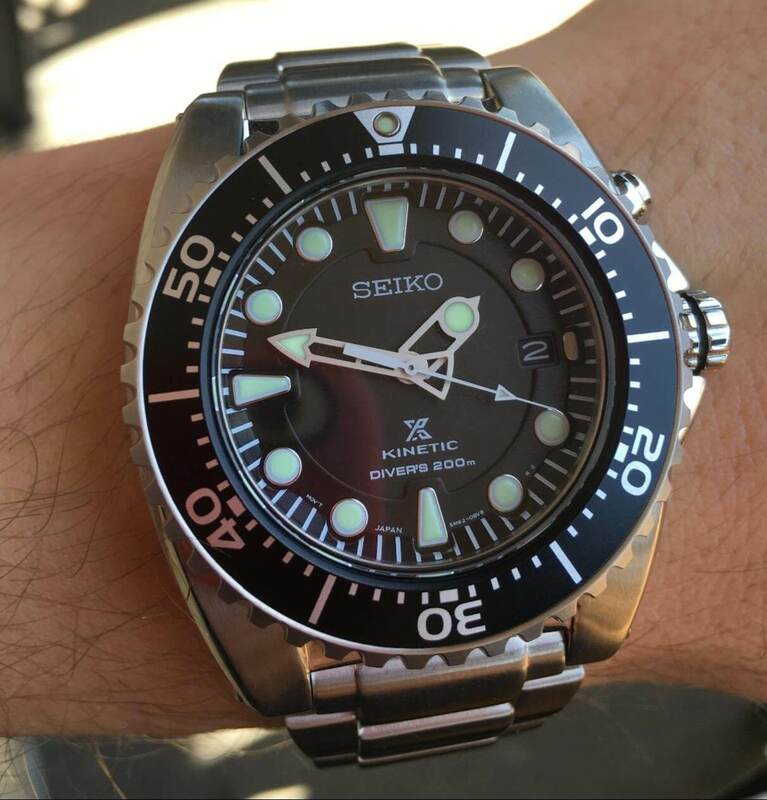 I hope you enjoy my article on the Seiko SKA371 review. Do let me know if there’s any questions about the watch. 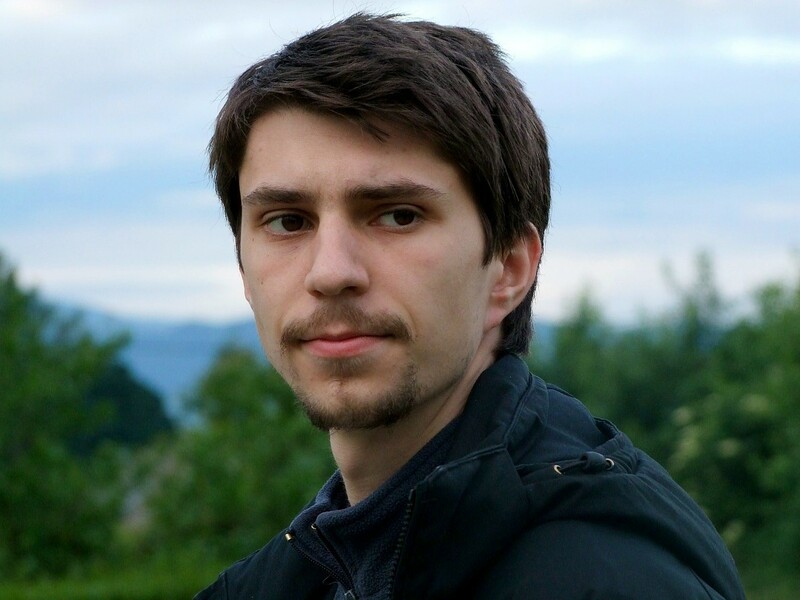 Also, I love to hear what you think about the watch. Thank you kindly for the rather detailed review of a rather attractive and catchy dive watch. It is really appreciated, thanks. I am looking for a classy sort of dressy kind of dive watch as I do love that style of watch, and the 3D style face is pretty stand out. May I ask how long is the manufacturers guarantee on this watch? Hi buddy. Glad you like the review. For the warranty, I suggest you ask the vendor that you want to buy from (either Seiko official distributor or online stores) directly as it differs. A 1 year minimum warranty is to be expected though. I cannot speak highly enough about Seiko watches. Seiko products are always nice and reliable . So I have no doubt about the Seiko SKA 371,It’s really nice with wonderful features. I love aspect it is a power reserved watch. so I don’t need to change the battery for very long time. Thanks a bunch Isaac for this lovely post. Hi buddy! I’m happy that this review helped you. Yes, indeed, Seiko watches are tried and tested to be reliable in the long run. And not needing to change its battery is one of the charm of these kinetic watches.